Then on Thursday night, thanks to a gracious invitation from my reviewer, writer and professor emeritus Jaqueline Jackson, I also participated with two other authors in a book presentation and signing event at First Presbyterian Church. 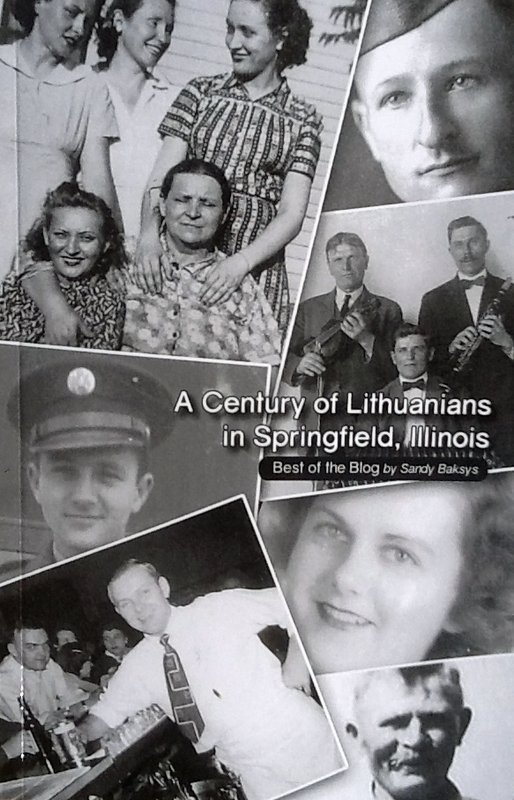 Two days earlier, on Tuesday, Nov. 10, I gave a 40-minute luncheon presentation about the book to almost 60 people at the Sangamo Club, including Augie and Ann Wisnosky, Diane Urbanckas and Debbie (Urbanckas) Jemison, and Mike Lelys and his mother Helgi. Laimutis Nargelenas was also in attendance, along with Barb Dirksen, Trish Quintenz and Rip Yaskinski, Jerry Stasukinas, and Rick Dunham from our Lithuanian-American Club. The Sangamo Club Literary Circle coordinator told me that ours was the biggest crowd in at least several years! Illinois Times publisher Fletcher Farrar and Tara McAndrew, history writer for the Illinois State Journal-Register, also graciously attended my Sangamo Club event, along with writer Jaqui Jackson and local history activist Nancy Chapin. We were also joined at the Sangamo Club by proud Lithuanian-Americans Judy Jozaitis, Lynn Freitag, Susan Eby, and Connie Klutnick. Well deserved accolades and attention to a tremendous book that will keep our stories alive for generations to come ! You have written a great book Sandy ! !